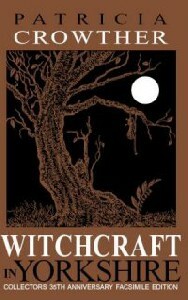 This a lovely small book of about 70 pages written by Patricia Crowther in 1973. This is a special limited edition (750) and facsimile of the original book. Every book is numbered. Patricia who hails from Yorkshire, England, describes the folklore and customs of the Yorkshire area. From legends to spells and beliefs she also tells of the most famous Yorkshire witch (although Patricia is probably more famous now… Morgana) Ursula Southeil or better known as Mother Shipton, born July 1488. She is still remembered for her prophecies. The most famous story is when she prophesied that on hearing of Cardinal Wolsey’s visit to York she said that he would never do so. 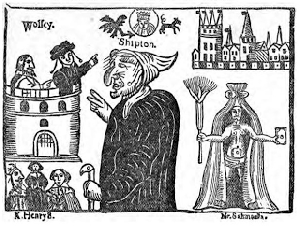 “This annoyed the cardinal when he heard about her prediction, and he sent the Duke of Suffolk , Lord Percy and Lord Darcy to visit her, all of them disguised…” so the story goes. 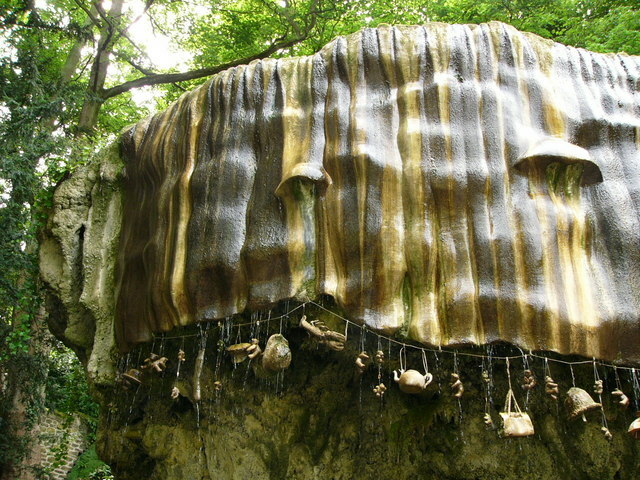 The cave is still visited today and is in a beautiful forest. 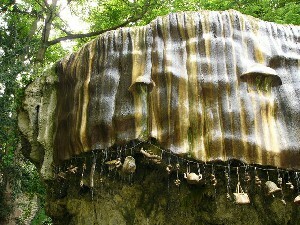 There is the Petrifying Well where people hang small objects to see them turned into stone. Down from the forest and over the roads….